Professor Chris Whitty is Chief Scientific Adviser for the Department of Health and Social Care (DHSC). He has overall responsibility for the department’s research and development, including the National Institute for Health Research (NIHR). He is currently the Professor of Public and International Health at the London School of Hygiene & Tropical Medicine and a Consultant Physician in acute medicine and infectious diseases at University College London Hospitals and the Hospital for Tropical Diseases. He is also Gresham Professor of Physic (the term for medicine when the post was created in 1597) at Gresham College. He was appointed Deputy Government Chief Scientific Adviser and was the interim Government Chief Scientific Adviser during 2017 and early 2018. He was previously Chief Scientific Adviser and Director of Research and Evidence at the Department for International Development (DFID). Chris is an epidemiologist and physician. Prior to joining DHSC he was Chair for the Department of Health National Expert Panel on New and Emerging Infections (NEPNEI) and the Advisory Committee on Dangerous Pathogens (ACDP). 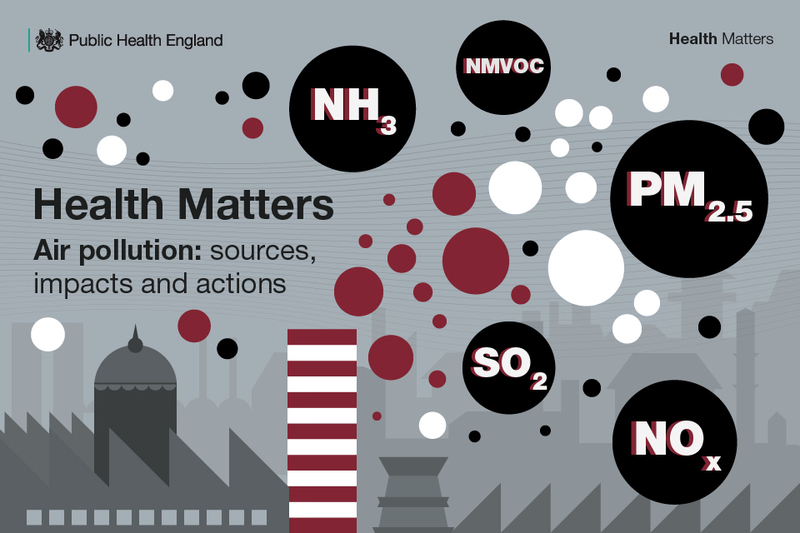 Read the latest edition of Health Matters, PHE’s professional resource, to find out more about the sources and health impacts of air pollution, as well as the actions that can be taken to reduce exposure and improve air quality.